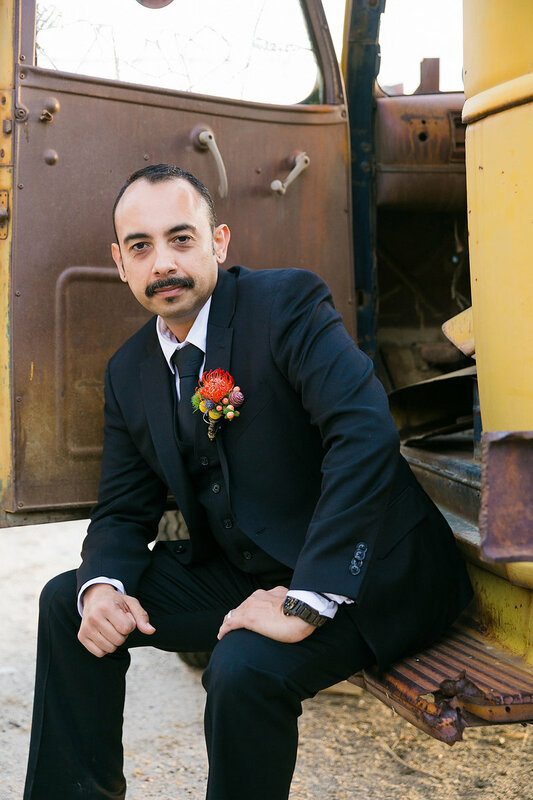 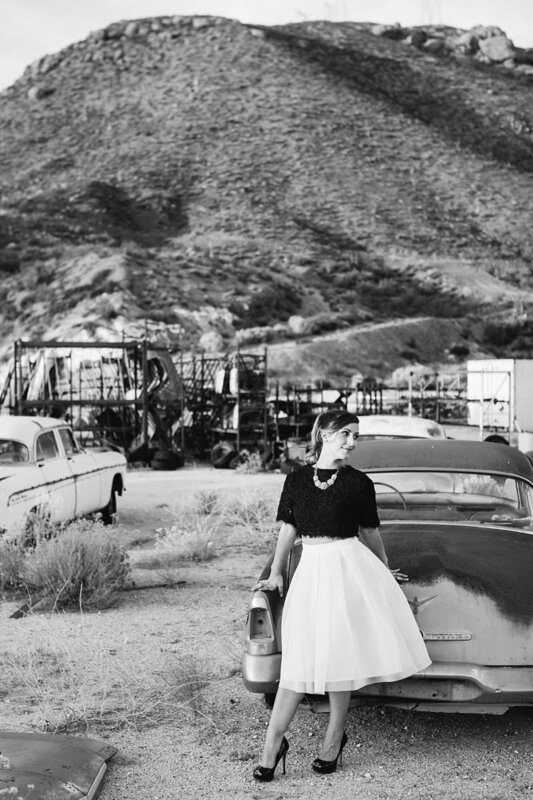 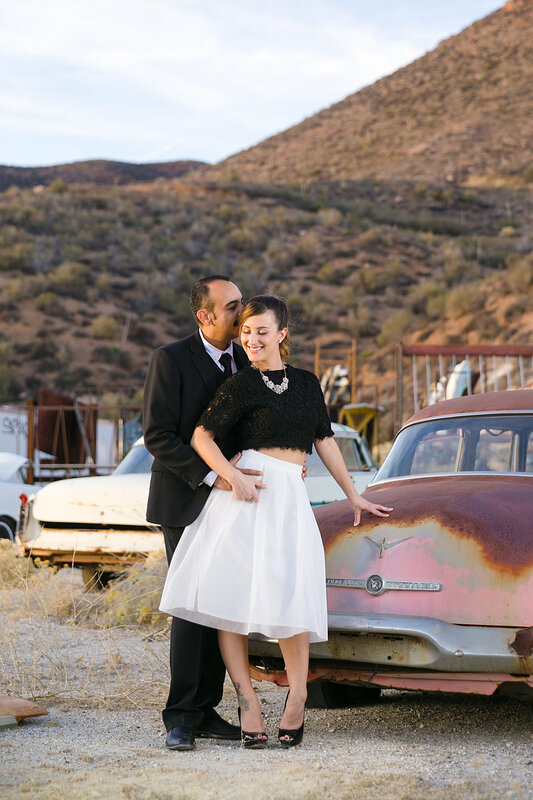 Retro class is how we'd describe Kimberly and Oscar's vintage engagement session at Middleton Ranch. 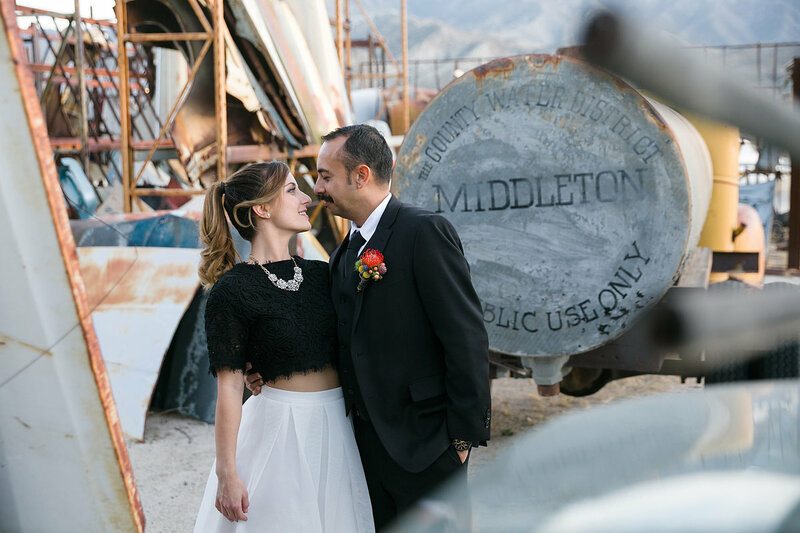 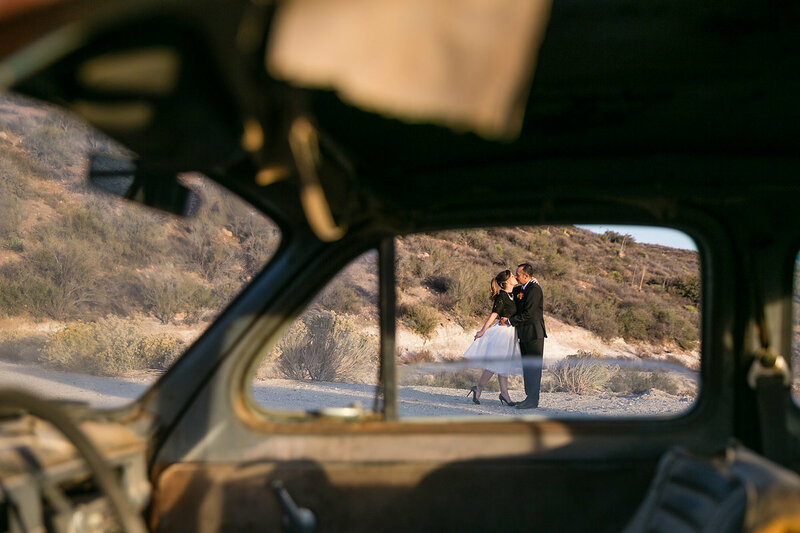 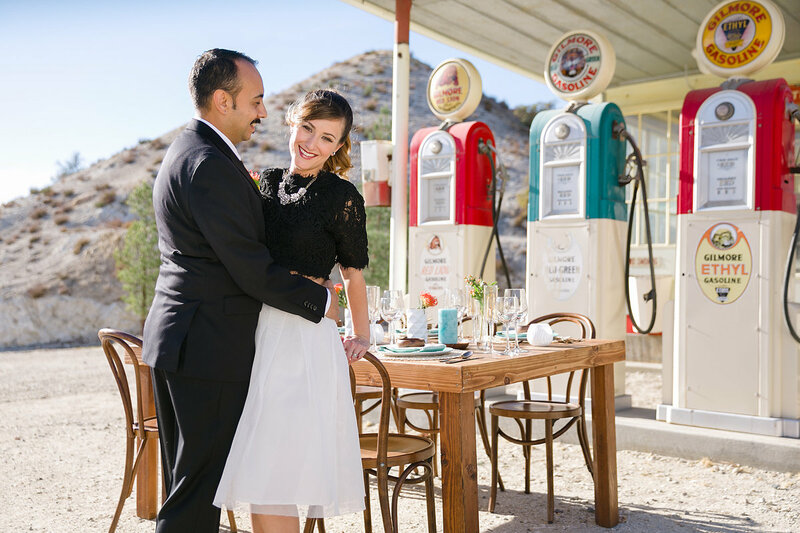 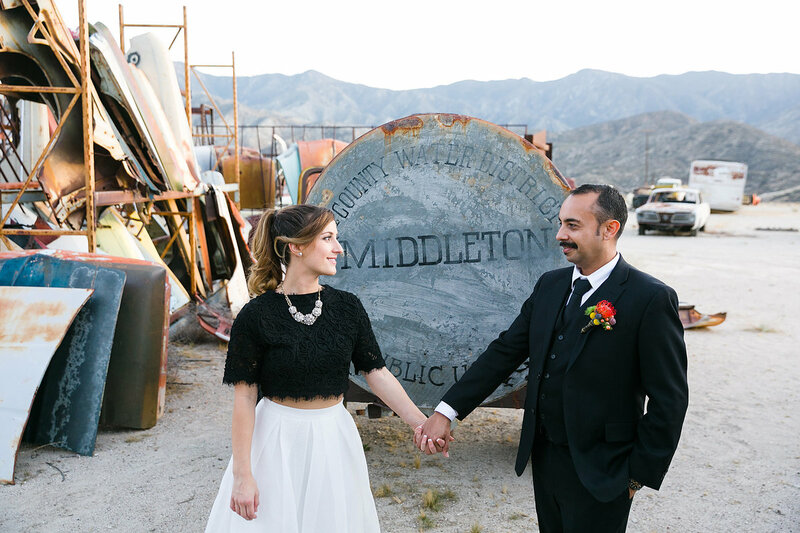 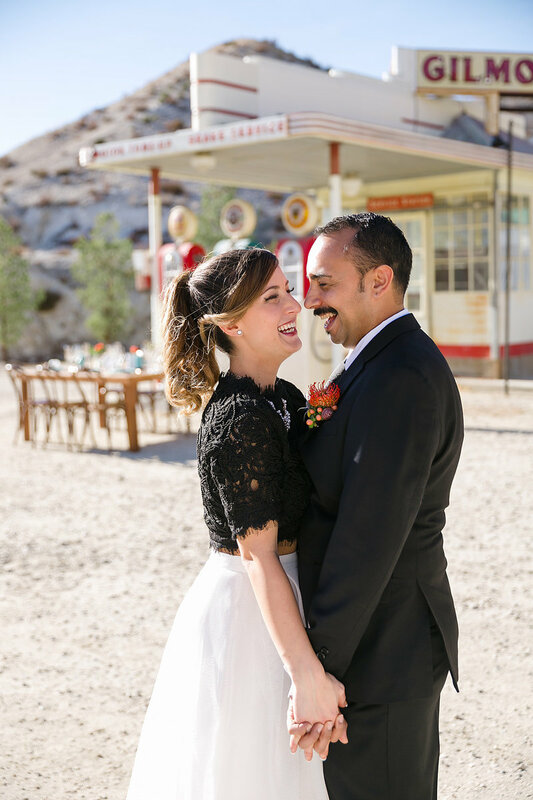 The desert landscape has dramatic panoramic vistas and several rustic locations that were perfect for this offbeat couple's artistic vibe. 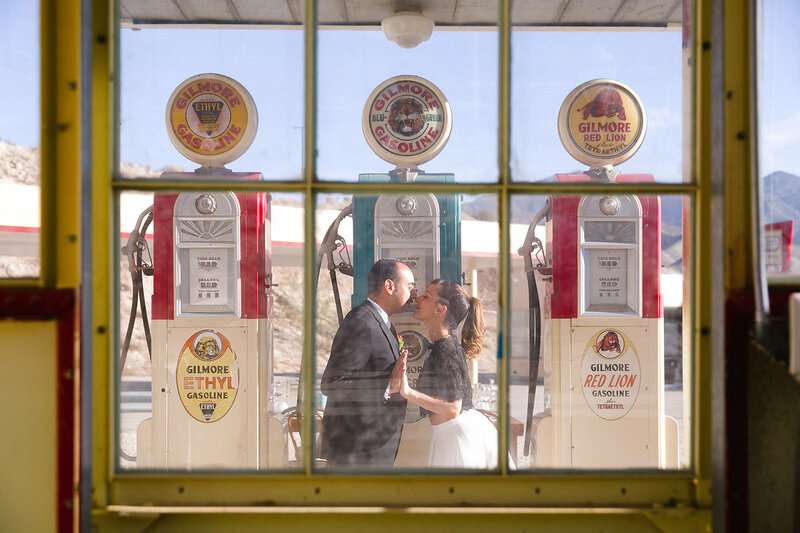 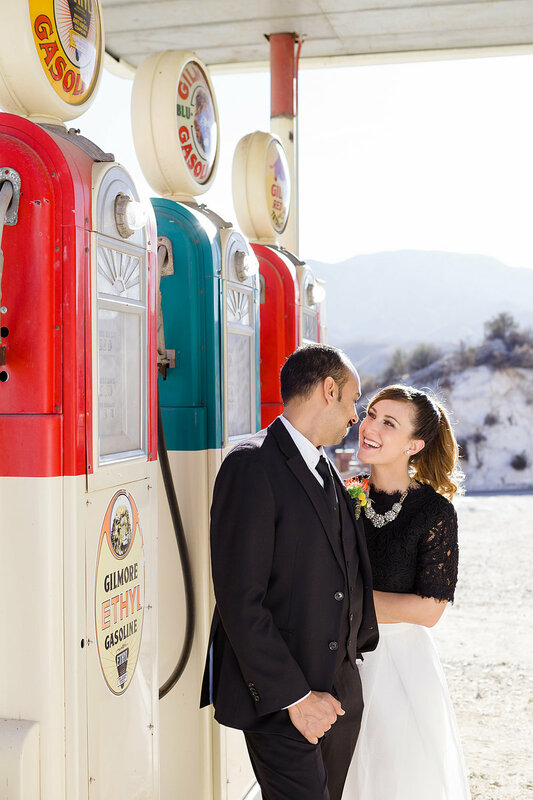 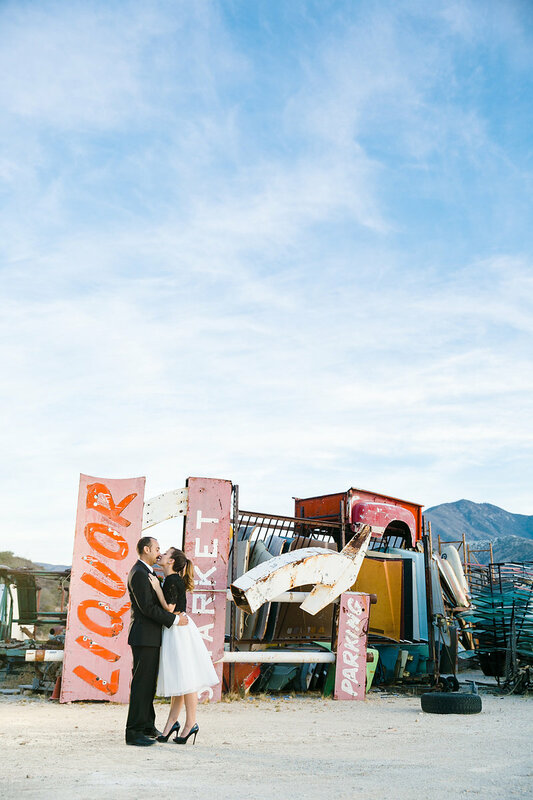 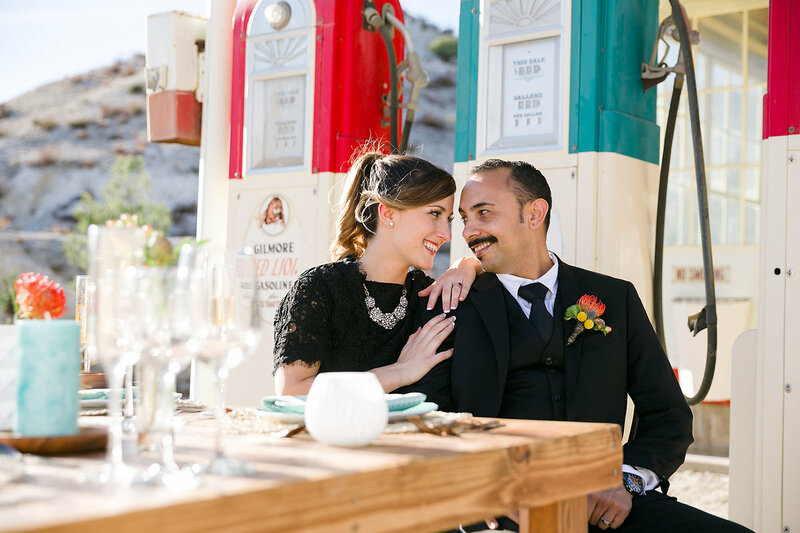 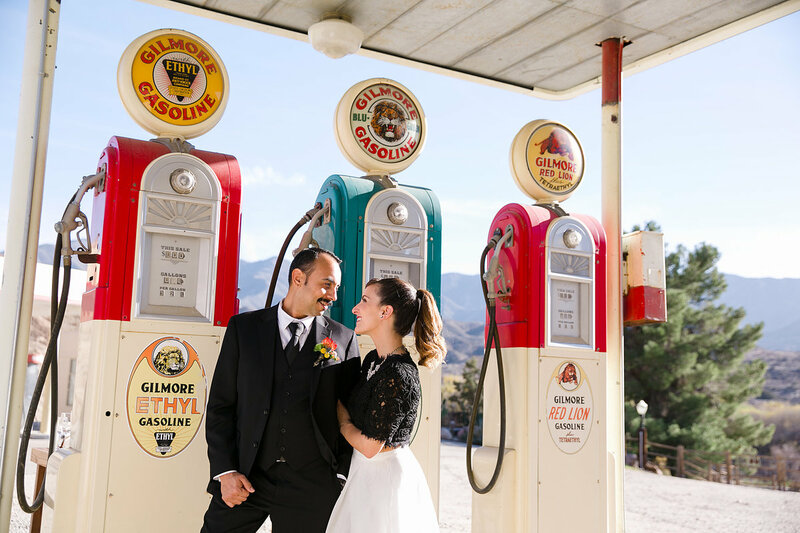 Kimberly and Oscar loved the retro colors of the Gilmore Gas station and the eclectic quality of the car graveyard that sat atop the sunset overlook. 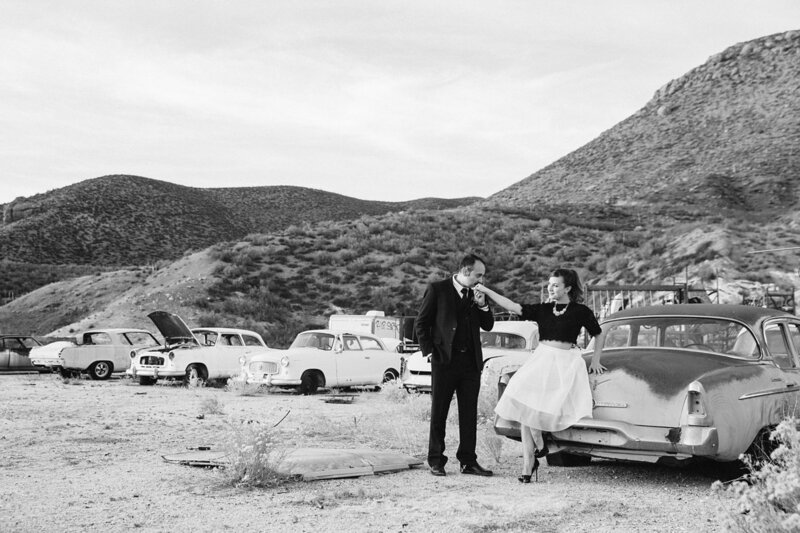 We had a blast capturing these two as they they laughed and danced into the sunset.